Mark A. Slama focuses on commercial, real estate, and banking litigation. 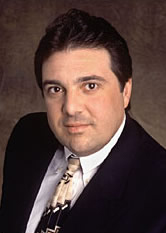 Mr. Slama has experience in commercial and corporate disputes; banking matters, including lender liability defense and asset recovery; real estate and construction litigation; contract disputes; and complex financial transactions, including fraud claims and fraudulent conveyances. Significant matters handled by Mr. Slama have included a class action suit in which he successfully defended a New Jersey-based financial institution against claims of real estate escrow accounting irregularities. The action was ultimately dismissed. He is a member of the Middlesex County (New Jersey) Bar Association, the New York State Bar Association and the American Bar Association. While attending Syracuse University College of Law, Mr. Slama was awarded the Blake Kennedy Memorial Law Scholarship and was a member of the Syracuse Journal of International Law and the Moot Court Board. represented the owner of a large construction project and obtained a substantial recovery of funds to remediate design and construction errors by the project engineers and other contractors.